You are here: Home / How to Create the Best Custom Blend E-Juice? How to Create the Best Custom Blend E-Juice? Creating the best e-juice blend is not a very difficult task. It primarily has three main ingredients, PS or VG, nicotine, and flavouring. However, it has been quite easy to create an e-juice blend that taste pretty good. It just a bit difficult to make a custom mixture that has the right amount of ingredients and serves as the game changer for you. Nonetheless, it isn’t something impossible to achieve. 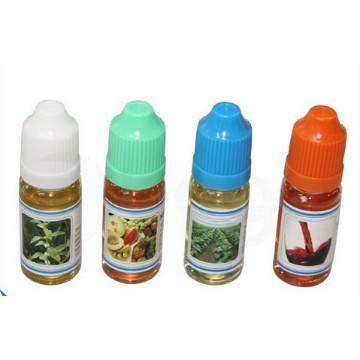 Here are few tips by which you will be able to create your own blend of e-juice. There are some flavours that are stronger than the other even in small doses and this makes it even more difficult and challenging to mix the flavours just because they taste different when they are mixed together. This might give you a trip when you mix for the first time. A traditional bottle of e-juice have about 5% to 20% flavouring, but flavours like tobacco only require 1% to 3%. When you are making the mixture using more than two flavours, the percentage of the mixture should be the total of all the flavours combined. You will get to know about the ideal dose when you have taken the sample of different strengths. If you have to save money you should use purchase e-juice in Australia in smaller quantities till you find out the one that you really like. The moment you have narrowed down your options you start selecting the ingredients that are your favourite. Other than the ingredient there are some other things that you should keep in mind which might affect the taste of the e-cig. The concentration of nicotine decides the intensity of the throat hit. Nicotine is the ingredient that helps the craving. Also, there are some flavours that stand out based on the strength the nicotine has. It comes in a wide range of concentration taking from 0% to about 3.6%. Nonetheless, everything comes down to the personal preference. After you have been successful in finding out the blend that you wanted to have the first thing that you should do is write it down somewhere. You have to write the exact amount of the mixtures so that you have can re-create it when you want. Otherwise you might forget the concentration and ultimately you will have to repeat the process all over again. If you already have an e-juice block and if you are unable to think about any other combination you can browse through the entire lot of collections that are available in the market.